The 2014 Bushnell GAP Grind Pro/Am is in the books. This was really the first match of its kind in the Precision rifle community. 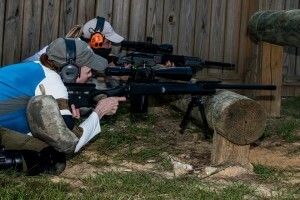 It was a brilliant idea because it opened the door for those who wanted to compete in a tactical precision rifle match, and was a great match to be a part of. The match directors, Shannon Kay, Bryan Morgan and George Gardner are all no strangers to this sport. All three men, respectively, have dominated this sport in one match or another (might I say several hundred matches!). 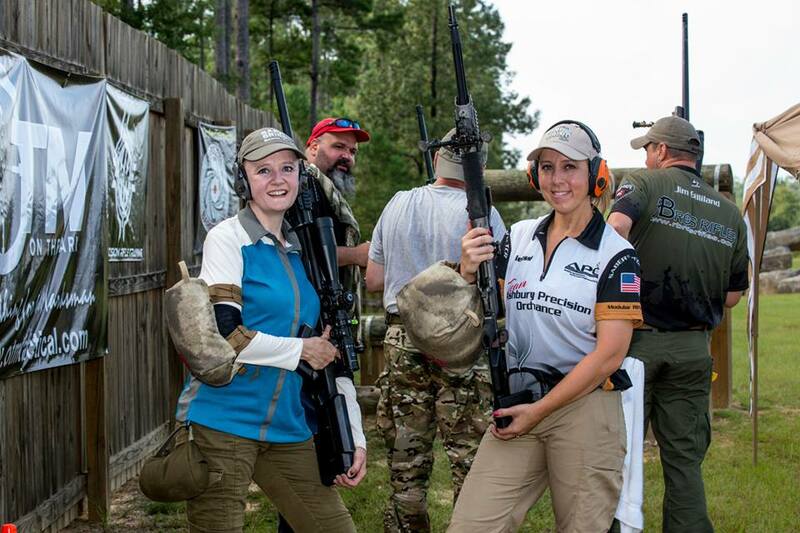 Shannon Kay and Bryan Morgan own a facility in Baker Florida, K & M Shooting Center. 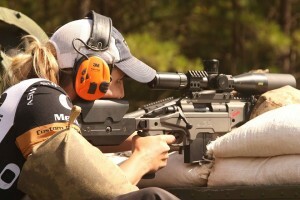 This shooting center, located on approximately 80 acres+, is one of the most sought after places to shoot. Matches and firearm training runs extremely smooth here. The Bushnell GAP Grind Pro/Am was no different as the match directors as well as all the RO’s, made sure it was extremely smooth. Misty Morgan and Julie Kay, wives of two of the match Directors, were there and were doing a lot of behind the scenes, which I’m sure helped make this match be as smooth as possible. On Friday, the day before the match, the zero range was open as well as a few stages. 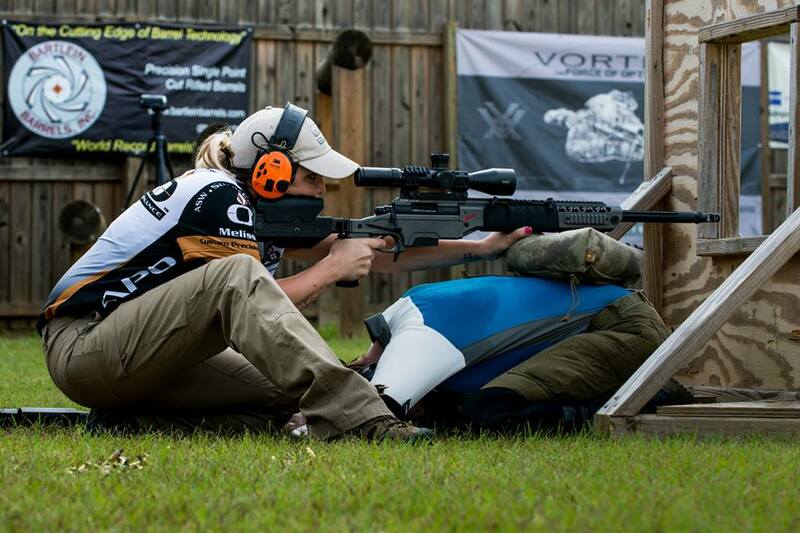 It allowed you to do a little one on one with your amateur as well as make sure you had a good zero on your rifle. 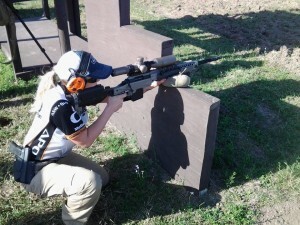 My competition rifle is my custom built Ashbury Precision Ordnance 6.5 Creedmoor. Jake, as I fondly named him, has a pinnacle series fluted barrel, AAC Blackout brake, Huber Concepts single stage trigger set at 2.5 lbs, Xtreme Titanium action all wrapped up in an APO Supersport alloy series chassis. I run the Bushnell Elite series XRS 4.5 x 30 with the G2 reticle. My scope is mounted in Spuhr mounts and is very sturdy. For shooting off barricades and protect the forend of my rifle, I have a Sniper Skid Plate (designed by Phil Hagoes of HTI). I use Wiebad bags to help me stabilize in awkward positions. These bags really help fill the gap between your elbow and knee, not to mention they help you be more stable when shooting off barricades. I also use the Armageddon Gear precision rifle sling. This helps me when shooting on other type barricades as well as sitting/kneeling position. I also utilize my sling when carrying my rifle from stage to stage. This match was different from other matches that I have shot. This match was focused on the amateur. The way I felt coming into this was, this is their first introduction to a match of this caliber. 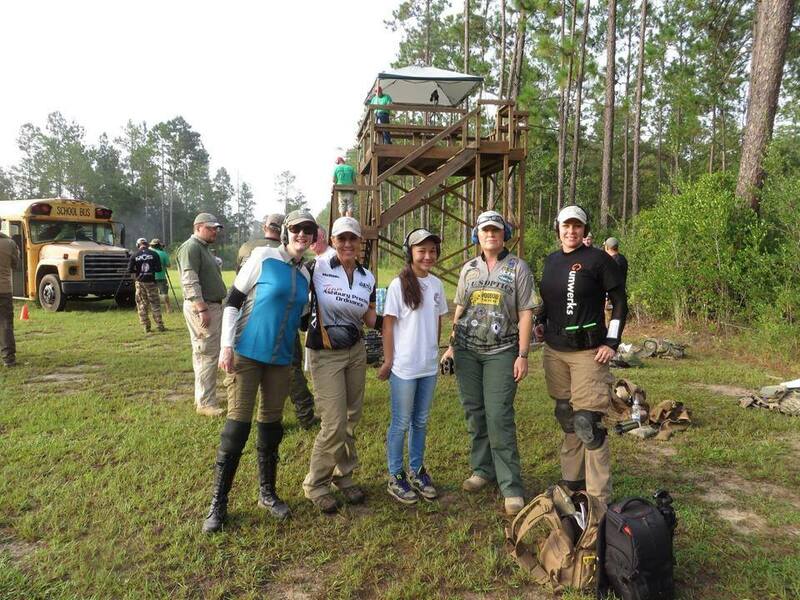 Not only did I want my amateur to do well, but I wanted her to see the comradery among the competitors in this sport. Everyone is friendly and will bend over backwards to help you. It is less intimidating when you come to a match and are not afraid to ask questions. I wanted her to see that if she attended a match, anyone and everyone would be there to help her. No question is too small or stupid. We all had to start somewhere. I wanted Maxine to have a positive experience. The stages in this match still had time stressors, barricade shooting and a lot of moving. A lot of the stages the amateurs had to shoot first. Maxine got frustrated on some stages and would apologize profusely because she thought she took too long to get a comfortable shot or at times I would only have 10 seconds to shoot all my targets or we would time out. I assured her that it was okay that I was here for her. I didn’t want her rushing a shot, I wanted her to slow down and pull the trigger when she was ready. If she would’ve rushed her shots and then missed, all that does is get someone so flustered they wind up missing all other shots. As a Pro, you were there for your Amateur. Some Pro shooters got to engage more targets than other Pro shooters. That’s why at the end of the match I didn’t look to see where I placed, because it was an unfair assessment of me as an individual. 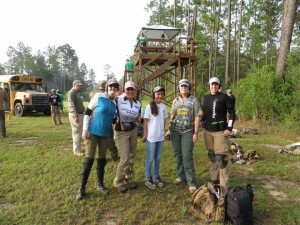 The Pro shooters were there for the amateurs, and I was proud to be a part of this. Going into the match, I was excited that I was paired up with another female. Maxine had never shot a “big” match of this caliber before. Though I feel that I am still learning the “how to” of these matches, I was excited to share my passion with Maxine and to hopefully inspire her to keep attending. Maxine is just full of life! 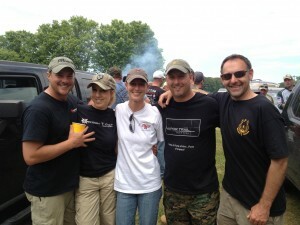 She was a blast to be around and always had a big smile on her face. Over those two grueling days, we grew close as a team. And it turned out, Maxine actually inspired me. You see, unaware at the time, I didn’t know the obstacles that Maxine had faced and conquered. Maxine suffers from Type II EDS (Ehlers-Danlos Syndrome). With her type of EDS, you bruise easily, joints become dislocated and your skin is fragile. In February 1996, she was involved in a serious automobile accident which led to over a dozen surgeries. Maxine has had 2 spinal fusions of L3 to S1, a non-mechanical fusion and a mechanical fusion. Maxine was told she probably wouldn’t be able to walk after her mechanical fusion surgery. Her home was made handicap accessible, anticipating the use of a wheelchair. After the surgery, she demanded a walker so she could take a few steps, to prove to herself she would walk again. She had little non-pain sensation in her legs and was unable to function normally. Maxine has had multiple fall related and spinal cord stimulator surgeries. As Maxine says “I could not function without this miraculous device”. The Medtronic Spinal Cord Stimulator overrides the pain sensation in her legs caused by nerve damage. She went through 8 years physical therapy to improve her quality of life. As she tells me “I do not remember what it is like to wake up and not be in pain, or walk without thinking about each step. There was a time when I couldn’t brush my own hair” While Maxine was in the wheelchair she started to look for things that she could do, so she taught herself how to sew and shoot a .22, and she got pretty good at that! Maxine’s body cannot tolerate recoil, so she thought she was stuck shooting .22’s the rest of her life. Until her Husband had her shoot his 6mm. I love Maxine’s words on this “I was terrified! It was a revelation! I felt powerful for the first time in a long time” And then it began, Maxine’s love for long range shooting. She is quite the competitor and like I said before, Full of Life. You go into shooting a match thinking about each stage, your rifle, the mechanics, the setup, the wind…..Maxine goes into it, thinking how lucky in life she is and that she is able to live another day, behind a rifle. I hope that we all can look deep down within ourselves, and find our inner Maxine.